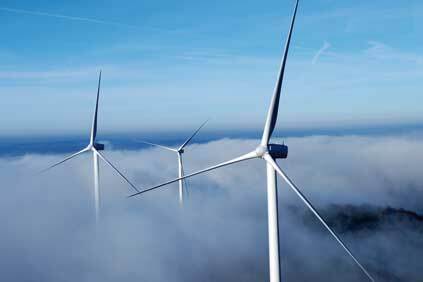 ROMANIA: Romanian oil and gas group Petrom has diversified into renewable energy with the acquisition of Wind Power Park SRL, the owner of a fully-permitted 45MW wind farm in the Dobrogea region of south-east Romania. Petrom said it is investing €100 million in the purchase and development of the project, which was acquired from Romanian wind developer Monsson Alma and is expected to be operational in 2011. Controlled by the Austria-based OMV Group, Petrom has increasingly focused on electricity generation and is currently constructing an 860MW gas-fired plant in Brazi, Romania. Construction of the wind farm, which may be expanded to 54MW, is set to begin later this year. It will use Vestas V90 3 MW on the project. "In the medium term, by capitalizing on the gas and power convergence and by developing renewable energy projects, Petrom will make the transition from a pure oil and gas company to an energy player," said Petrom CEO Mariana Gheorghe. According to Windpower Monthly's Market Status Report for Romania, almost zero MW was added to the country's capacity. However the Romanian Wind Energy Association executive director Dana Duica expected roughly 500MW to come online this year.